During the past several weeks, I’ve received several calls from prospective clients who have been thrust into the role of caregiver for a family member that has been diagnosed with Alzheimer’s. My experience with Alzheimer’s Disease is limited – my family has primarily been the target of cancer, so Alzheimer’s and other forms of dementia are not something I have first-hand experience with. However, during college, I did work as a nurse’s aide at a nursing home for several years. Honestly, this was some of the most rewarding work I ever did as an undergraduate. I assisted and got to know patients with a wide range of ailments, including Alzheimer’s Disease. And I can honestly say, Alzheimer’s Disease was one of the cruelest and worst types of disease I have ever experienced. I know what you are thinking. There is no cure for Alzheimer’s. You can’t slow the disease down. The only former Alzheimer’s patients are ones that have passed on. There are no “Alzheimer’s Survivors”. But that’s not the point. If you are a caregiver, you can’t let yourself believe that Alzheimer’s is the end of the road for your loved one. If you do that, then you have already lost. If you are a caregiver, you can choose what to make of the hand you have been dealt. Nobody says it is going to be easy, nobody says it is going to be fun, but it is going to be what you decide it will be. I lost my mother to cancer back in early 2016. I lived 9 hours away, while my sister lived right down the road and was Mom’s primary caretaker, making sure she took all of her medicine and got to her doctor’s appointments. I know it was a burden for my sister, but I also know that she grew closer to my Mom during those last few months. I’ve never thought about it this way, but I have only recently come to appreciate how much I miss spending that additional time with my Mother. I wished I’d lived closer. I remember when my Mom first got diagnosed, I flew up to see her and had the privilege of taking her to one of her first chemo treatments. I stayed and talked with her for hours as she received several IV bags containing various drugs. My Mom was an independent woman, and she kept telling me I didn’t have to stay with her, but I knew how much it meant to her to have me there. But being an Alzheimer’s caregiver is different. The demands, the stresses, the responsibilities take on a whole new meaning. Some caregivers can manage these responsibilities on their own, others simply can’t due to their own financial obligations, caring for their own children, or some other reason entirely. 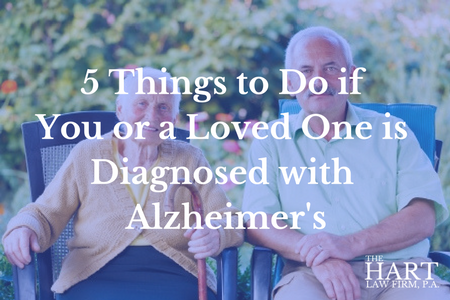 Regardless of where you stand on the spectrum of care for your loved one, there are several things you should do once you find yourself thrust into the role of caregiver for someone with Alzheimer’s Disease or another form of dementia. The first thing you must do is find a support group. It is important that you not undertake this journey by yourself. There are other people out there, both online (i.e. Facebook Groups) and locally, who can help you get through this period of your life. You aren’t expected to do this alone. Nobody expects you to go through this alone. And although support groups are wonderful at providing emotional support, they are limited in their ability to analyze your situation and provide you with professional support, guidance, and resources. You may need to talk to a financial or legal professional to begin to understand what benefits your loved one may have available to them to assist with the financial cost of care. You should also check with your church, social service agencies who work with the elderly, and your loved one’s health insurance provider (including Medicare). Your own mental health is also a priority. You are going through a lot of different thoughts and emotions right now. Speaking with a mental health counselor may be helpful for your own personal well-being. I know from personal experience that my Wife is the type of person who beats herself up if she isn’t constantly taking care of everyone around her. She is the consummate caretaker, and I love her for it. But if you have a spouse or parent with Alzheimer’s, you are not going to be able to take care of them 24/7 and remain in a healthy state of mind yourself. You may need to go out to eat with friends and leave your loved one at home from time to time. This is important not only for your own well-being but also to make sure that you can be the best caretaker possible when you are serving in that role. If you don’t take care of yourself, you could burn yourself out in the caretaker role. And that isn’t good for you or your loved one. So don’t feel guilty if you have to do something for yourself every once in a while. It is ok.
One of the unfortunate side effects of Alzheimer’s is that sooner or later, your loved one will no longer be able to make financial and medical decisions for themselves. For that reason, it is vitally important that they have executed the proper legal paperwork to make sure that they have named someone to manage these matters for them. Failure to deal with this paperwork now, while they are still capable of executing their own legal documents, may require costly legal fees and court proceedings, not to mention court supervision, later on. 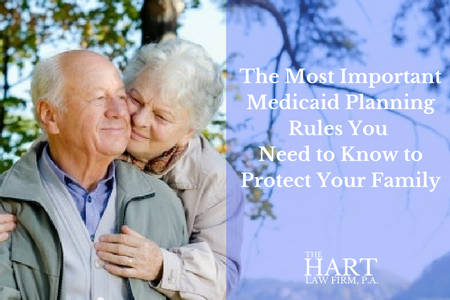 In addition, putting in place a plan now may allow your loved one to safeguard a significant amount of assets that would otherwise go towards the cost of nursing home care, or even need to be “spent down” if your loved one was forced to apply for Medicaid later on. At The Hart Law Firm, we can help you with these issues. You may call our office at (919) 883-4861 or fill out our online contact form to schedule an initial appointment. Becoming a caregiver for someone with Alzheimer’s, or even receiving an Alzheimer’s diagnosis yourself, is not an easy thing to go through. But there are resources available to you. I hope this post will help point you in the right direction as you begin this process. 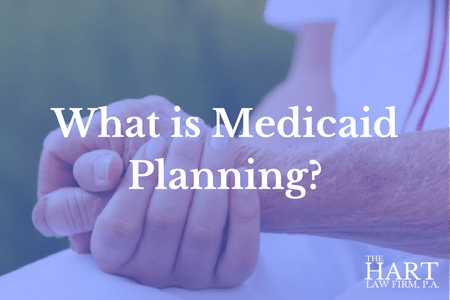 Previous Post: « What is Medicaid Planning?